15714LF-ECO is rated 4.8 out of 5 by 11. Rated 5 out of 5 by SeanHickey from One of my favorites! I am a service plumber in Fresno Ca. 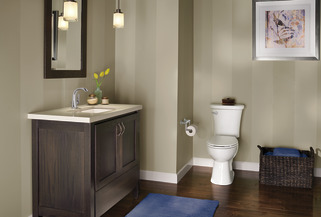 I have repaired, Installed and owned my fair share of plumbing fixtures. 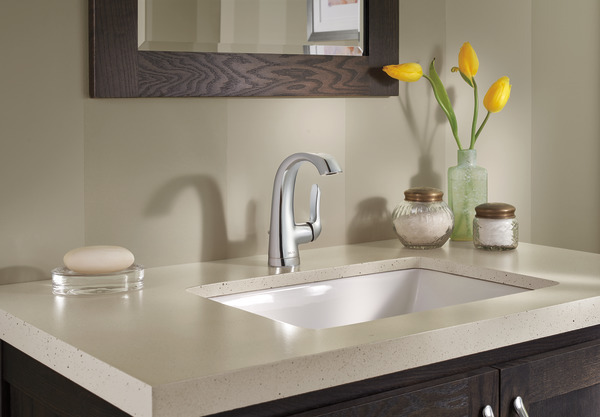 But this faucet is one of my top go-to faucets I recommend to my clients. The only thing I dislike about this specific faucet is that it only came I a chrome finish. If there was a brushed nickel "spot resistant" finish I would buy it immediately to replace the chrome one immediately. 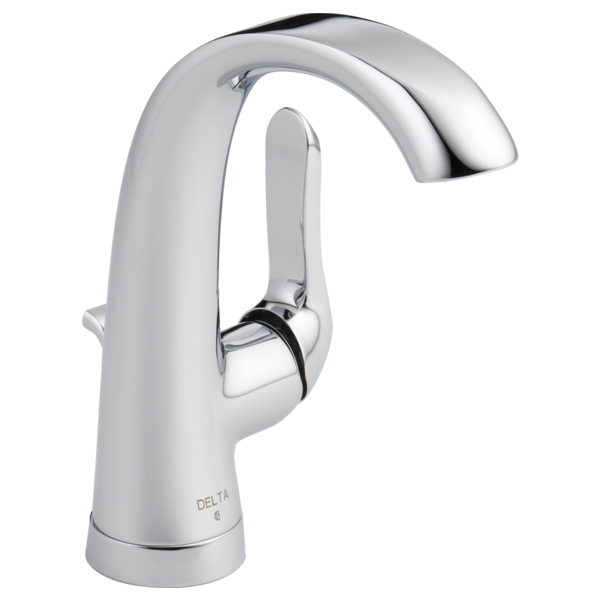 Rated 5 out of 5 by SnowLeopard44 from The best faucet in my house This is the best faucet I ever bought. It has plenty of clearance to wash your hands without "banging" them against the sink, it delivers lots of water and has a very accurate slide from cold to hot water. Great polished chrome that is easy to keep clean and shining. I wish there would be a matching set for the shower/bathtub that I am about to renovate. Rated 5 out of 5 by The2Ts from Totally satisfied. 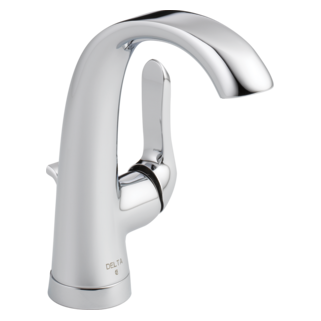 We looked for a Delta faucet for our bath remodel because of high satisfaction with other Delta faucets in our home. This is a beautiful design, is operated easily, and (unexpected benefit) stays cleaner because the handle is on the side. Very glad we went with Delta and this design! Rated 5 out of 5 by Enrique from My wife and I selected this product, which we had been looking for sometime. It has excellent quality. 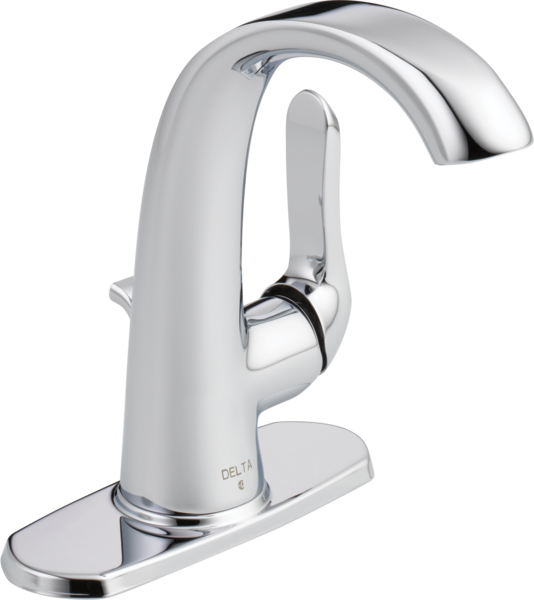 We are very much satisfied with this Delta Faucet, and with similar Delta products we have purchased, and used with excellent results. How do I tighten the handle on this faucet? Ours has come loose. Can you email me a cad drawing of this faucet? Does this come in stainless steel, or a brushed nickel finish? We have two of these faucets in our master bathroom. 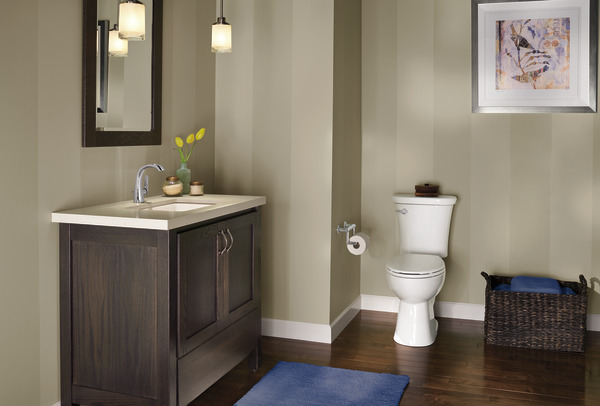 Thiese faucets look great and my wife and I love their looks. We did this remodeling about 2 years ago, but we just moved back into the house. The faucet provides hot water when the lever is on top. I believe it should provide cold water when the lever is at top. I looked and as far as I can tell, the hoses are connected fine. How do you fix that? Also, there is a missing plastic/rubber cover on the handle. How do I get that?